The England & Wales Cricket Board and Warwickshire County Cricket Club have today announced that Edgbaston Stadium will host the England cricket team’s first ever day/night Investec Test Match in 2017. 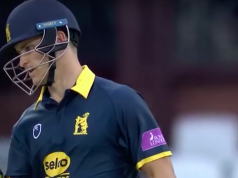 Although the 2016 season has ended, this adds to the news that has been emanating from Edgbaston Stadium in the last few days. Firstly, there was the departure of Director of Cricket and long-serving Bear Dougie Brown. 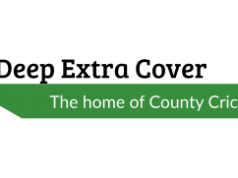 The dreaded phrase “by mutual consent” normally means “jumped before he was pushed”; and there is no reason to believe that it has a different meaning in Dougie’s case after the Club narrowly escaped relegation from the top division of the Specsavers County Championship. But now comes this good news about the day/night Test. Taking place from Thursday 17 to Monday 21 August, England will face West Indies at Edgbaston in the first Test of the Investec Series, which will be played with a pink Dukes ball between the hours of 2pm until 9pm, subject to ICC clearance. For a club that still owes £20 million to Birmingham City Council, anything that could generate increased income will be welcomed. Potential candidates for the vacant Director of Cricket post may well be concerned about the state of the Club’s finances as they face the task of reinvigorating an ageing team. They will be encouraged by the thought that fans may well be tempted to fork out money for this new venture. The West Indies are no longer the drawing card they once were so the novelty of the day/night format, and the ability to attend outside working hours, could well boost attendances. As for those City Council creditors, they recently commissioned a study to determine the value to Birmingham of the five Champions Trophy matches to be played at Edgbaston next year. They came out with a figure of £25.3m. Without doing another study, we can confidently assume that having the first UK day/night Test at Edgbaston will be worth to the city a figure not far short of quite a lot. That being so, Warwickshire fans will hope that the City council is familiar with the work of ancient Greek cricket correspondent Aesop. With all that money coming into the city, councillors will surely not call in the debt and kill the goose that is laying such golden eggs. There is extra reason to celebrate, because the occasion will also mark a significant milestone for Edgbaston as the 50th Test Match in its 115-year history as an international venue. Neil Snowball, Chief Executive of Warwickshire County Cricket Club, said: “Bringing day/night Test cricket to England is an innovative and very exciting development for the game, and we’re thrilled that Edgbaston will be the first venue to host a match played in this format. The day/night format for the Investec Test Match follows a successful trial at Edgbaston in August, this year, where a Second XI Championship match was staged between Warwickshire and Worcestershire in similar conditions. Australia and New Zealand contested the world’s first day/night Test Match in Adelaide in November 2015. Warwickshire supporters who fancy sampling this new venture will be able to buy ticketse from 10am on Monday 10 October, priced from £26 and £6 for under 16s.